Russia seems to corner the YouTube market when it comes to crazy dash cam videos. 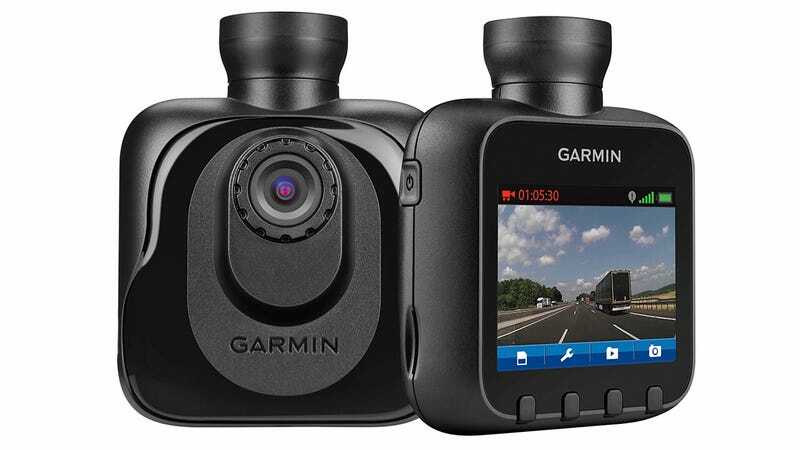 But that could soon change when Garmin's new $250 Dash Cam hits the market in February. The tiny camera sits inside your windshield and records everything that's happening in front of your vehicle through a wide angle lens. And in the event of an accident, it automatically time-stamps and geo-tags that footage so in the event of an insurance claim or police investigation, there's no debate as to how events unfolded. As soon as you start your vehicle, the Dash Cam automatically starts recording everything it sees to an included 4GB microSD card, but that can also be upgraded to a 32GB card if you live and drive in a particularly dangerous area. Using a built-in sensor the camera automatically detects incidents or accidents based on braking or sudden stops, and then stores the relevant video files with the added location, time, speed, and directional data. Otherwise, the video is just recorded over when the card fills up, until something happens.